How much is Phil Hartman Worth? Phil Hartman net worth: Phil Hartman was a Canadian-American actor, comedian, screenwriter, and graphic artist who had a net worth equal to $3 million at the time of his death. 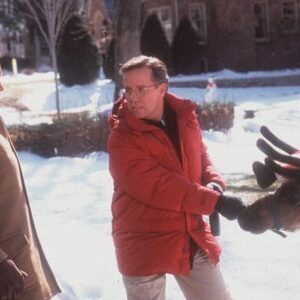 Phil Hartman was born in Brandtford, Ontario, Canada in September 1948 and passed away in May 1998. Phil and his family moved to the United States when he was 10 years old and he graduated from California State University, Northridge. As a graphic artist he designed album covers for the bands America and Poco. In 1975 he joined The Groundlings and helped Paul Reubens develop the character Pee-wee Herman. He was perhaps best known for being a cast member on the television series Saturday Night Live where he was known for his Bill Clinton impression. In 1989 Hartman won a Primetime Emmy Award for SNL. He was also an announcer for the show and worked at SNL from 1985 to 1996. He starred as Captain Carl on Pee-wee's Playhouse in 1986. Hartman starred as Bill McNeal on the TV series NewsRadio from 1995 to 1998. 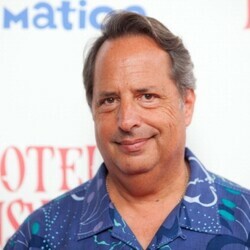 From 1991 to 1998 he did voice work on The Simpsons animated TV series. He also starred in the movies The Gong Show Movie, Cheech & Chong's Next Movie, Pandemonium, Weekend Pass, Pee-wee's Big Adventure, Last Resort, Jumpin' Jack Flash, Three Amigos!, Blind Date, Amazon Women on the Moon, Fletch Lives, How I Got Into College, Loaded Weapon 1, Coneheads, So I Married an Axe Murderer, Houseguest, Stuart Saves His Family, Sgt. Bilko, and Jingle All the Way. Hartman received a star on the Hollywood Walk of Fame in 2014 at 6600 Hollywood Blvd. Phil Hartman was fatally shot by his wife Brynn Omdahl on May 28, 1998 at the age of 49. Phil Hartman's Net Worth at Death: At the time of his death, Phil's estate was worth an estimated at $1.23 million. That's the same as around $3 million today after adjusting for inflation. The majority of that wealth was from the value of their house. The money was left to his two children, to be distributed in installments after they turn 25.